A big thematic area in Gymnasium Art, in the new curriculum, is the exploration of identity. The unit described here elaborates with the discovery, construction and reconstruction of their identity through different activities. At the same time modern social issues are discussed regarding their online identities. The final output of this unit will be the student’s individual self-portrait. Students will learn about self-portraits, will observe and discuss famous self-portraits and taking inspiration from the great artists and the discussions they will have with their classmates they will make their self-portrait after they create a mind –map with their ideas. Regarding history of art, students through the unit learn to identify important artists and their work and study artworks in their placement in the social, cultural and historical context. In particular, they learn about Rembrandt’s, Van Gogh’s and Andy Warhol’s work through presentations they make about the artists. The class divided in three groups works to make presentations for their classmates on one of the artists and his self-portrait. Students have already discussed in first grade Van Gogh’s Starry night and Andy Warhol’s, Marilyn so they are familiar with two of the artists. Rembrandt was chosen because besides that he is a great artist, he made several self-portraits over the years and it will help students to discuss the evolution of identity over time. 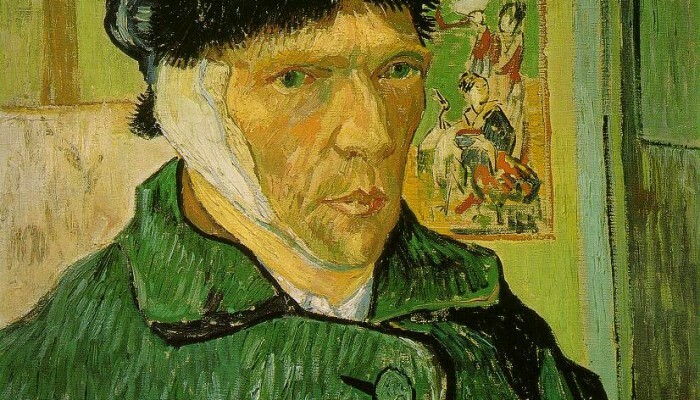 Van Gogh’s 1889 self-portrait is in the curriculum for this grade as one of the artworks to analyse. Throughout the unit, students will keep their online learning journal in their My learning journal to present their creative process and progress. The unit aims towards spherical development of transversal skills. As Art is a creative lesson students are expected to work creatively to make their self-portrait not focusing so much on technique, as taking the opportunity to explore their ideas, to get inspiration, try out things and express themselves. Students register their progress and ideas in their learning journal and use a mind-map as a more free way to register their view of their identity, promoting therefore autonomous learning skills. As one of the main activities of the unit expects students to find and present information student improve their information literacy skills. Students share responsibility for the presentations and need to manage to work effectively with their classmates. They are also asked, all through the unit, to provide feedback to each other so they need to manage to give constructive feedback in a respectful manner. New technology is utilised to help the students achieve their goals more efficiently and enables the teacher to monitor students learning and provide support.